Travelling Hopefully – Page 2 – cos where's the fun in arriving? 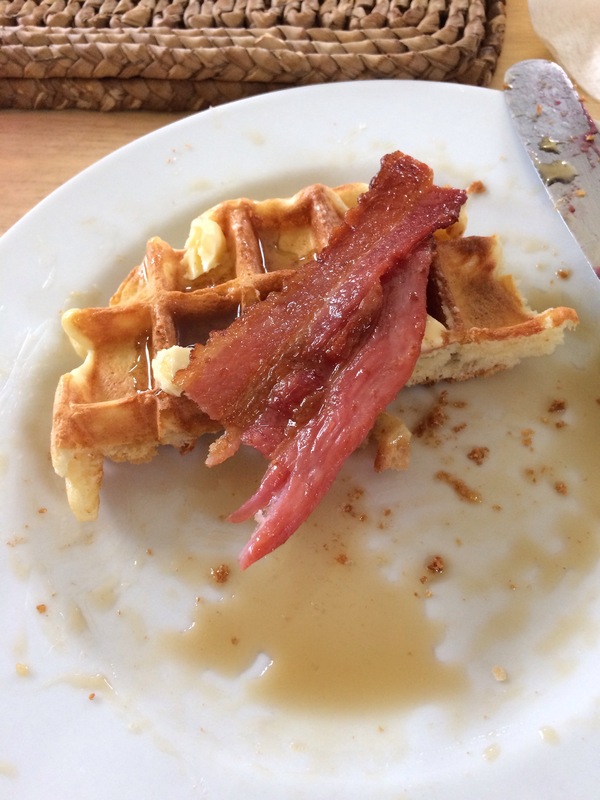 Maybe it was after having such a lovely day with my waffles family yesterday, maybe I was just a bit hungry, but I spent a good chunk of today surrounded by a fog of negativity. Poor Ginge had to endure my crap mood, all the while knowing that a good run would clear my head and improve my disposition. If only I would stop being such a mardy and just get my trainers on. Speaking of trainers, mine are a bit battle scarred post-marathon and it’s about time that I replaced them. I look on enviously at people’s photos of gorgeous trainers in rainbow colours. Unfortunately due to the size and wonkiness of my great flippers, I am limited to whatever is available in “well cushioned boat”. Since I started running, I have flipped between New Balance 1260 and Asics Gel Kayanos, and while we were heading up the M6, Ginge suggested a detour to the New Balance factory shop at Shap. It’s great there, the staff are really knowledgable (and patient) and I picked up my new shoes for £68 (well £62.50, plus a fiver p&p because they didn’t have my exact size so they ordered them in from another branch). Hopefully I will be re-shod on Tuesday. Today my Magic Plan demanded an assessment run, which involves a 5 minute gentle warm up, 5 at an easy pace, a couple of minutes walk and then 3.2km as quick as I can, followed by another minute’s walk and 5 more easy. I have a love hate relationship with my assessment runs, I like to see how I’m doing, but I do have a tendency to overthink them and talk myself out of pushing myself too much. I suspect that if I ran these with someone else, they would definitely be faster. After my run I lunged, planked, bridged and pressed up, before settling down (in a much better mood, he knows me far too well) with pie and the remains of a giant Ferrero Rocher. 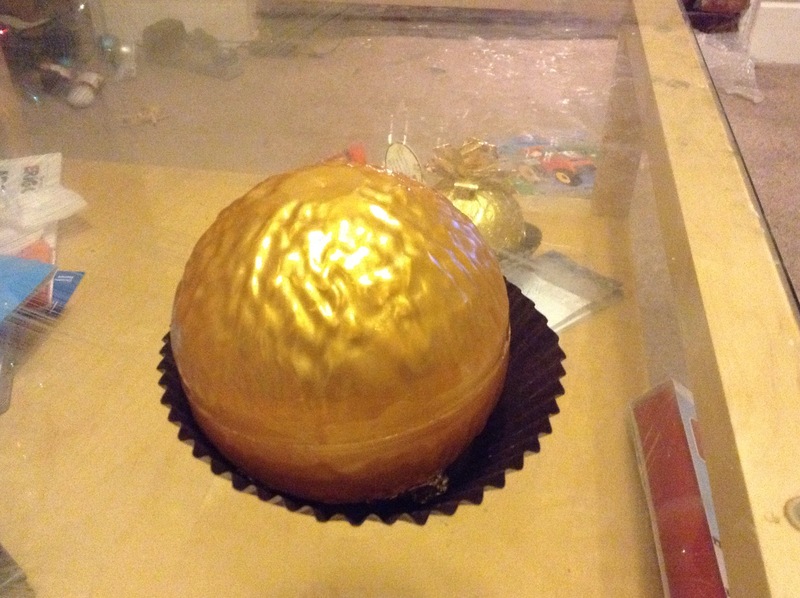 Note the second giant Ferrero Rocher that is queuing up to be eaten. Over the past couple of weeks, I have been cheerfully Liking people’s tweets about Janathon and it was only this morning that I realised that I hadn’t actually signed up myself. Oops. My Athon-denial was clearly getting the better of me this year. I’m not very good at all the resolution business, most years I will buy a diary in the faint hope that one year I will become one of those people who Keeps a Diary (I will also have homemade biscuits in the biscuit tin and always wear matching undies). This year I have set myself some vague running goals, I would like to get my 5k and 10k back to pre-pregnancy times (or better if I’m not too decrepit for that), and I would like to have another punt at a marathon that isn’t run in a wind tunnel. Other than that, I would like to work on becoming generally stronger, but in particular trying to sort out the tight hip flexors/lower back niggles that have been plaguing me for months. The answer to this seems to be to do some specific stretches and improve my core strength (the latter is the answer to everything from pelvic floors to back pain to sucking in my flabby ‘mum tum‘ beer and pie belly). I would also like to be able to do a proper press up, just the one – my upper body is as weak as a kitten. With this in mind, Kat has recommended two apps 30 day fitness challenges and Gaiam yoga studio, and seeing as she introduced me to The Magic Plan, I would be a fool not to give them a try. Yesterday morning I was queuing at the checkout in Tesco when it suddenly dawned on me – this time last week I was running a marathon. It somehow didn’t seem real (and I’m still not sure which one of these activities was preferable on a Sunday morning) but I do have an exceptionally large medal (and a badge) to prove that yes, I am a marathoner. Being a bit nervous about these things, we had nipped down to Folkestone on the Saturday to say hello to Kat and Jools, and to give me chance to recce the aid station. I had heard rumours about the SVN aid stations, but seeing it in all its magnificent carbohydrate-laden glory made me feel a lot better for the following day. What made me feel slightly more concerned as I battled across shingle in a ridiculously strong headwind, was the prospect of running in a ridiculously strong headwind. I had been warned that it wasn’t going to be easy and Kat had given me the sage advice that sometimes its quicker to power-walk in those conditions. After a week of poor sleep thanks to Mini-Ginge, I had been blessed with a decent night on the Friday, only to spend Saturday night sharing a single bed with the little monkey. I swear I was only going to lie down with him for 5 minutes, but the next thing I knew, it was 5am and I was being poked in the face while he demanded “go downstairs mummy”. Downstairs, we shared some porridge and watched CBeebies while I refused to put my kit on because that would make it all a bit too real. We made it down to Dymchurch sea front in plenty of time to sort out my registration, say hello to people we knew, meet some crazy marathoners on their way to the 100 club and listen to the pre-race briefing (in summary, run as fast as you can to get it over with before the wind gets really bad and don’t run too far because you might get shot). I set off on the first shorter lap with some lovely company in the form of Kat and Hels, and I enjoyed the novelty of running with actual people (these days I am mostly a solo runner and do sometimes miss having a bit of a natter while I run). The way out felt fine, we turned round at the big rock and it was at that point we realised just how windy the 50% of the race was going to be. After the short lap, it was just (ha) a question of five more loops up to the firing range at the end of the sea wall. On each way out we felt fantastic, at times being pushed along by the wind, we would reach the turnaround point and as we turned, it immediately felt as if we were running into a brick wall. My first five miles were pretty steady, but looking at my stats you can see a clear difference between my outs and backs with at least a minute/mile difference in my pace. As predicted, it only got worse as the race went on and it was reassuring to see other ‘proper’ marathon runners (albeit some of them on marathon 5 in 5 days, the crazy fools) having a bit of a strategic walk into the wind. My strategy for the headwind sections wandered a bit throughout the race. Starting with a planned, “I’ll run 6 minutes then walk 1 minute”, it lurched to things like “I’ll just run to the martello tower” to “the martello tower is actually much further away than it seems, maybe I’ll just run to this bin” (I did this at least twice) to the final lap (when I conceded listening to a bit of music) when I decided to run one song and walk the next, to my final offering of “I don’t care how much I walk, as long as I run for a bit of every song”. In contrast, my outward running was pretty steady and I even managed my fastest mile at mile 19. Clearly this was an accident. Having followed my Magic Plan (which deserves a blog post of its own) since the end of August, the longest long run I had done was ten miles.I know that this seems odd and is partly why I haven’t blogged much about my training – I had confidence in the plan, but it was a wobbly sort of confidence and I didn’t want anyone to accidentally jiggle it. When I hit ten miles in the race, I just thought, “I’ve not done this distance for a while”. After 13 miles, “I’ve not done this distance for over three years”. After 15 miles, “oooh, this is new, I’ve not done this before”. Between 15 and 20 miles “Thank god I didn’t have to do this for fun on a Sunday afternoon”. At 20 miles “Bloody hell, I’ve run 20 miles”. 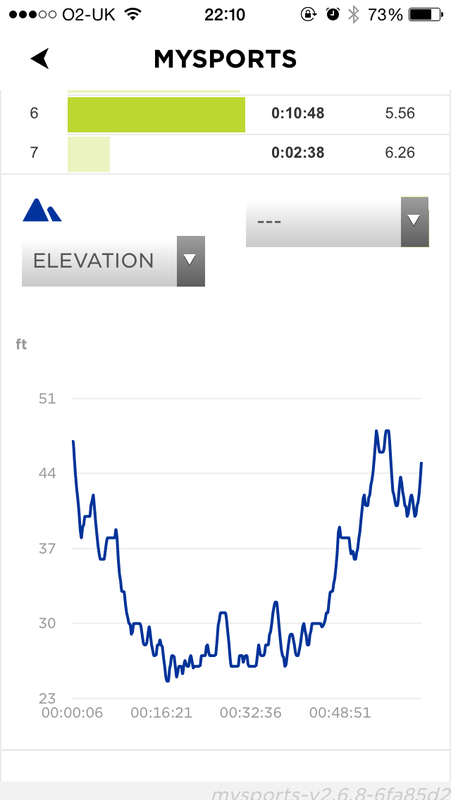 Andat 25 miles, I raised my arms above my head and actually whooped. Although the laps got a bit repetitive, it actually made the race feel really friendly and inclusive (as I suspect most of the SVN events are). Instead of seeing the gazelles at the front just set off, or be passed by them on their way back to racking up a time that would be half the length of mine, you were constantly passing them. And you know what? They were bloody lovely. I have never had so many “well dones”, thumbs up and general cheery words of encouragement in my life. I especially loved the chap who just raised his hand in silent greeting every time our paths crossed. I was less enamoured of being told “good work little lady”, but at 21 miles I was too knackered to be narked and was happy to take any praise whatsoever. The loops also meant I could keep in touch with my fellow running friends. Helen kept me company for the first half, I caught up with Kat every time I stopped at the aid station and I took great joy in watching Jools, Rachel and Louise start bunched up together and then jostle for the lead before Rachel peeled off (looking amazing) and finished as first female! I also had the pleasure of taking a walking break to say hello to my aunt and uncle and their dogs and of course, seeing Ginge and Mini-Ginge (who apparently was sulking about not being allowed to go swimming in the sea) every 5 miles at the aid station. It was also incredibly lovely to have a surprise appearance from Cathy and Shaun (who saw me showing off on one of my running bits) on my penultimate lap. All of this helped me hugely. At the penultimate lap, I did think “I wish that this was my last one. Do I have to do another? Can I not come back tomorrow to finish off?”. I wobbled a bit on my last run out, so at the turnaround, I finally decided to fish out my ipod for the last few miles. Set to shuffle, the first track that played was I’m Shipping Up To Boston, an, ahem, jolly and motivating type of tune that made me yell “OH YES!” before checking around me to make sure that no one had heard, because I didn’t actually say “oh”, it had twice as many letters and rhymed with “duck” (sorry mum) . Even though I hated those last two and a bit miles, I was jubilant in the knowledge that I was very likely to be finishing my first marathon in one piece. With the finish line in sight, I had enough in the tank to put a bit of effort into a sort of a trot and was cheered over the finish by my own welcome party. This bit felt great and I was grinning like a loon. 5 hours and 33 minutes, not a record-breaking time by any stretch of the imagination, but a PB for me. Apparently I looked pretty strong and smiley throughout. This was my aim, so in that respect I can say “mission accomplished” and for 24 hours I basked in the glory of being a marathon runner. The next day I felt ok (although the first descent downstairs was particularly interesting, especially as Mini-Ginge decided that he no longer made his own way downstairs and would rather be carried) with only a little bit of chafing on my back and a blister on my weird little toe. I’m quite grateful for this, but it was also a bit of an anticlimax. You may have noticed that I have worn an incredibly bright and most unlike my usual style of running kit in some of my recent events. I first came across the #bloodnotmoney hashtag on twitter and I was hit by the beautiful simplicity of Rick Mill’s campaign. Usually I ponder and procrastinate over things before they slide past without me having actually done anything about them. This was different. 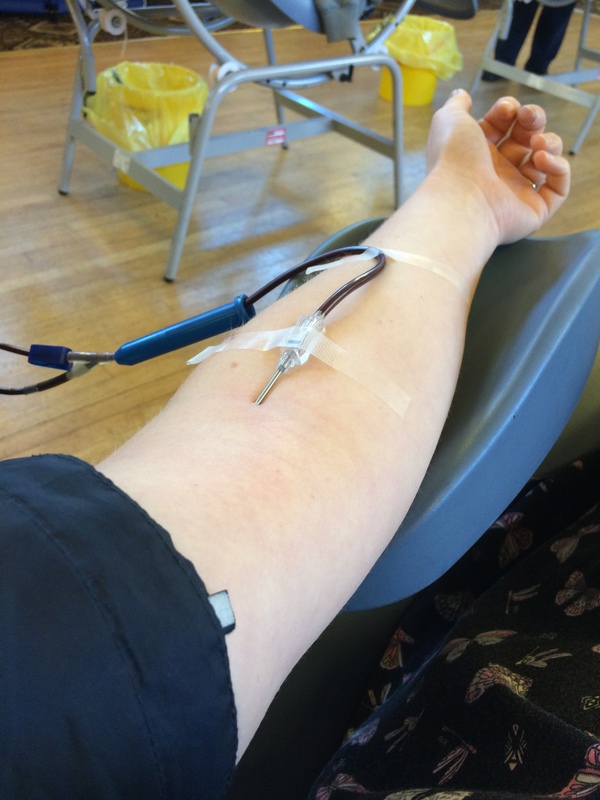 Giving blood is something that I feel is hugely important. Other than the biscuits there’s no reward, well apart from the fact that you could be saving someone’s life. Saving someone’s life! Can it get much better than that? 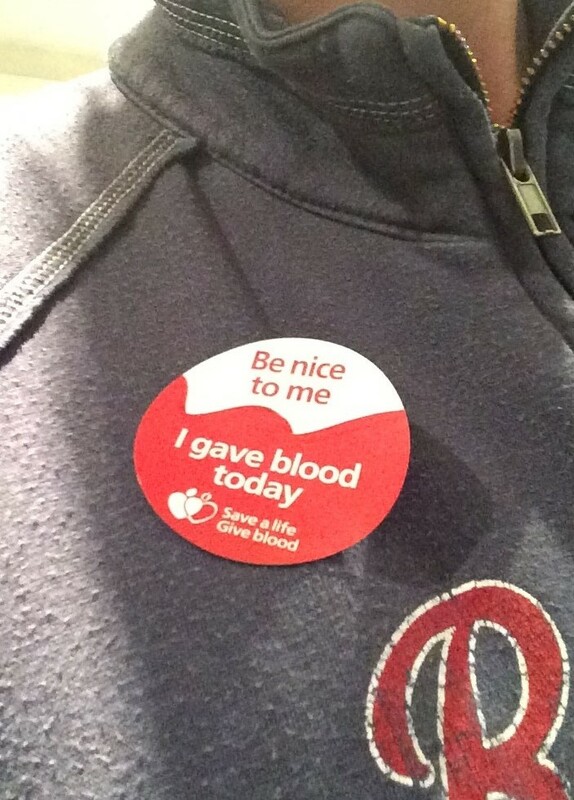 Anyway, today I have not run because (a) my plan dones not tell me to run and (b) even if it did, I was too busy having my arm emptied at my local blood donor session. So this is my chance to offer some advice to all of you who want to start (or get back to) donating? Just do it. Visit blood.co.uk to find your next local session and you can just turn up. But…If you’re anything like me, you have lots of good intentions to do The Thing, but when the day of The Thing arrives you find that you’re too tired, have too much on or completely forget about it until a week later when you suddenly shout “Gah! The Thing!” thus startling your family and friends. So my advice really should be, visit blood.co.uk and book yourself into a session. It doesn’t matter when. If it’s in your diary, you can forget about it until you get your reminder text and appointment letter and it’s already sorted. It’s better to wait for a month or two rather than never actually getting around to it. Get it booked. 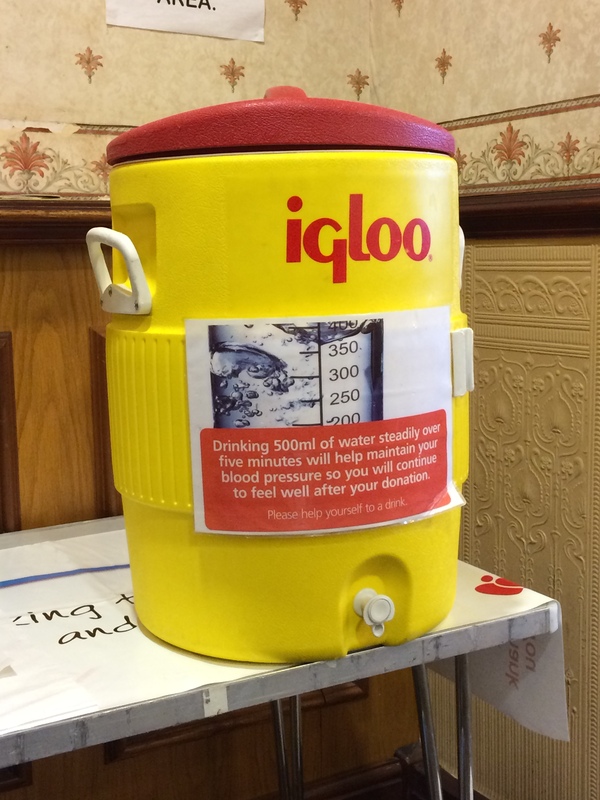 If you’re not sure if you can donate, ring the lovely people at the helpline (0300 123 23 23) for a chat. Seriously, it’s the most lovely call centre ever (even nicer than the one you ring when bits of your Saturday Guardian are missing). If the blood people ran all of the utility companies’ phonelines, the world would be a much better place. You can also tweet them and they’ll either answer queries on your timeline or by direct message if it’s about personal details (@GiveBloodNHS). I go on about the biscuits, but if you’re not a biscuit person (and the choice is rather good, I favour a fruit shortcake but there’s loads of choice, even Penguins) there are crisps available, if they’re more your thing. And there’s lots of free drinks. So. I don’t really mind if you’re motivated by crisps, biscuits, altruism or stickers, if you can give blood, have a good think about getting yourself signed up and visit blood.co.uk. My magic training plan had me down for an easy hour and ten minutes on Sunday. 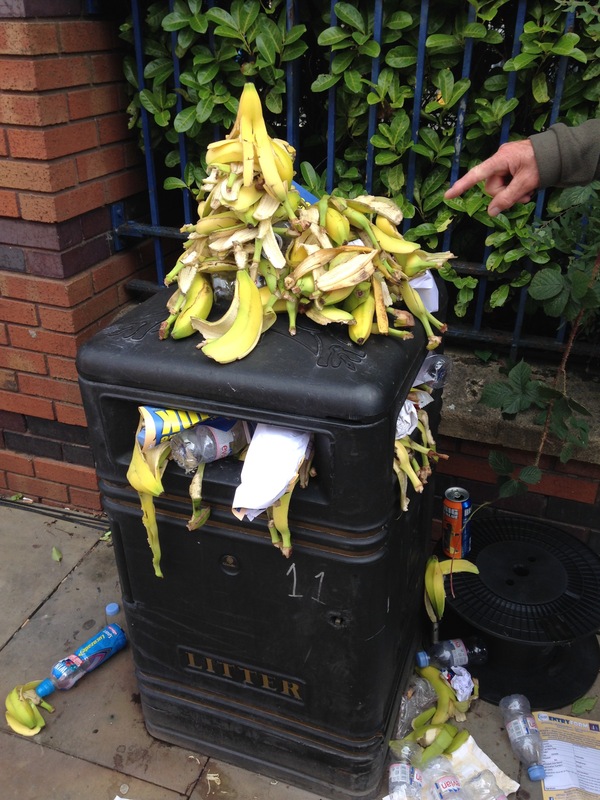 However Sunday was the day of the sell-out Wigan 10k and I had a place booked on the start line. I was kind of ok with the idea of using the race as a training run with a medal but… oh, who am I trying to kid? I wanted to run the race as a race and try to improve on July’s Manchester 10k time. So I asked the chief training plan sorcerer and with his blessing, shifted my threshold run forward a day and went for it on Sunday. All the running wisdom out there tells you to make sure you have a good night’s sleep before a big race. I have yet to find a book or a blog or anything that recommends being up at 1 o’clock feeding Calpol to a grizzly child. This is because it is a rubbish idea and only an idiot would recommend it. I am an idiot and even I do not recommend it. Luckily the race had a 10am start, although Mini-Ginge had other ideas and I was up ridiculously early, trying (and failing) to guard my breakfast from a small porridge thief. God bless toddlers and their approach of “what’s yours is mine and what’s mine’s me own”. 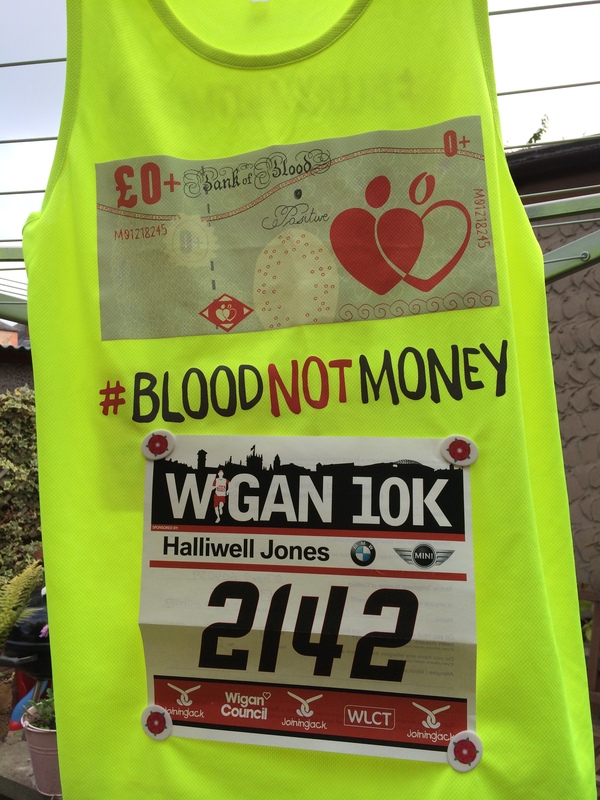 So, with most of my porridge scoffed by me, my timing chip carefully looped through my laces, my number clipped to my #bloodnotmoney vest and Tim strapped to my wrist, we set off f’t Wigan. At nearly 3500 runners, this was one of the biggest races I’ve done for a while and the race organisers had gone all out with live music, outdoor bars, massage tables and a whole European food market in the town centre. After queueing for the loo, I parked myself somewhere between the 65 and 70 minute pacers, hopeful for the former but not ruling out being nearer the latter. Away I went, running comfortably, occasionally glancing at Tim and being alternately pleased and terrified by the pace he was showing. I have to confess that my glorious feeling of “I could run forever!” was probably helped by the steady downhill of the first mile and a bit. It was also helped by the amazing support of Wiganers. All around the route, people were out of their houses to cheer us on, children were banging pots and pans (I overheard one weary mum tell her daughters “not all of the time” as they emerged from the house with the contents of the kitchen cupboards) and on the return leg, two girls were offering glasses of water. It was brilliant – I think Autumn sums it up perfectly in her race report, describing it as being “like a mini London Marathon but with more space to run and a lot more smiles”. On the only section without many cheering crowds (around the DW stadium) there was a steel band AND a brass band (it’s official, any run of 5 miles or more, I want my own band, or at the very least a trombonist to follow me round). I love a band during a race, it makes me ridiculously happy and you can always see a spike in my pace when I pass one. I knew that what went down, must come up and the return uphill leg was certainly my slowest mile, but I did surprise myself by plodding all the way to the top without walking. After this, there was another bit of an uphill into Mesnes Park and then a slightly frustrating but brilliant for being cheered zigzag back and forth around all of the paths of the park. At this point I realised that I have become one of those people who high-fives small children sticking out their hands (at one point I nearly high-fived a marshal before realising just in time that he was just pointing the way). I also got a personal cheer from my own support crew, which always puts a spring in my step. Coming up to the finish, I tried to put a bit more effort in (not that you can tell from the official photos) only to be suddenly confused by someone shouting my name. There at the finish was my friend and her bloke (who had run the race a good ten minutes faster than I had) cheering me on. I looked up at the clock and was gutted to see my time as being slower than at Manchester, I was certain that I’d run way better than that. God bless chip timing though – by the time I had collected my medal, goodie bag, banana and water, my phone had binged to tell me that my chip time was 1.03.25. My fastest 10k time since having Mini-Ginge! I genuinely hadn’t realised how far back I had been and how long it had taken me to cross the line. 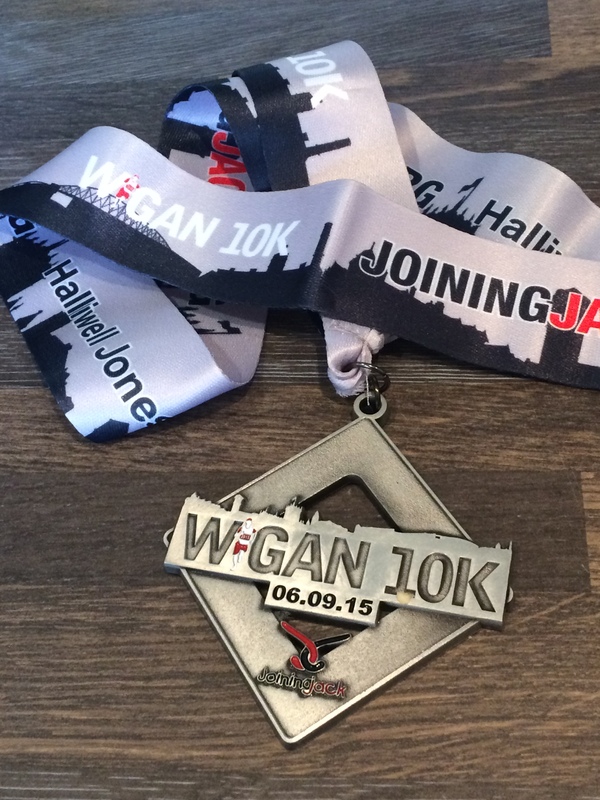 Would I recommend the Wigan 10k to a friend? Definitely, in fact I already have. The race was brilliantly organised, hugely well supported and blessed with perfect weather – I absolutely loved it and will definitely be back next year.